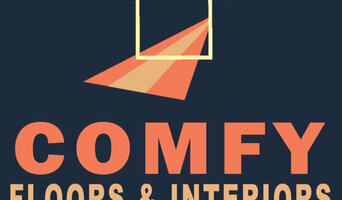 *Authorized Flooring & Interiors Dealer* Comfy LCC was created on the principles of integrity and respect, fundamentals which are very important to us. Our company understands that prompt and professional service is wanted, and our company ensures that all requests will be treated with the sense of urgency and efficiency. We offer an extensive collection of flooring, including wall-to-wall carpet, ceramic tile, sheet vinyl, luxury vinyl tile, hardwood, and laminate. These choices combine function, durability, style, and beauty, at budget-friendly prices. Putting our customers first has been the key to Comfy LCC growing success. Our professional staff is committed to providing great products as well as consulting with our customers about what they are buying. We specialize in installation, resurfacing, refinishing and repair. --Flooring: Carpet, Hardwood, Laminate, Vinyl Sheet, Vinyl Tile (LVT/LVP), Linoleum. --Kitchens: Cabinets, Kitchen Counter-tops, Sinks. --Bathroom: Cabinets, Bathroom Counter-tops, Sinks. --Millwork: Which included Doors, Molding, Trim, Wall Paneling and Crown Molding. We supply labor and/or materials. Call today for your FREE on site estimate and consultation. The Orient Bazaar is a family-owned rug business with over 80 years experience specializing in Oriental and traditional rugs. The Orient Bazaar stocks kilims, carpets all around Turkey, Central Asia, kilim cushion covers, kilim patchworks, carpet patchworks, handbags, saddlebags, jijims, silk and cotton suzani.,kilim bags, kilim dog collars, kilim belts. We offer a very authentic and professional service. We have a wholesale store in the center of Istanbul and warehouse in Seattle. We have been a registered trader in wholesale at the same address in Istanbul since 1994. 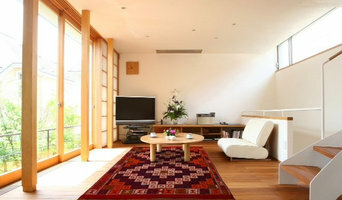 Our mission is to supply the best price for unique, hand made, weaved by natural and healthy madder carpets. We welcome all your comments and feedbacks and strive to reply to your requests within 24 hours. Schotten & Hansen works with architects and interior designers to produce custom wide plank floors and specialize in using all natural pigments, oils, and waxes. Teragren is located on Bainbridge Island, Washington and has been a global leader in the design and development of bamboo panels, veneer, counter tops, Pureform™ Traditional and Xcora™ Strand bamboo flooring since 1994. With over 20 years of experience, we pride ourselves on creating products that are beautiful, durable and renewable. Our products are healthy for both the home and the environment. In our showroom customer can find many varieties of materials that will help you make a home more comfortable and cozy. When people think of replacing their floor with new hardwood, carpet or tile Will's Flooring is the place that can help you to improve your house by providing material that you'll love and professional crew that will deliver and install your floors just the way you'll like it. Eddie Bauer Floors offers the world's finest prefinished engineered hardwood flooring. Our environmentally sensitive floors are selected for beauty from the finest hardwoods and engineered for performance to the very highest manufacturing standards. 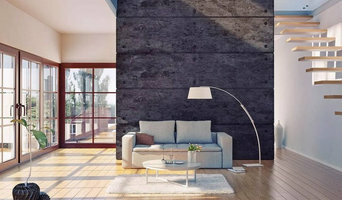 Unique to the industry, we construct our planks with a hardwood core for superior strength and stability, we provide a square edge profile for a true "sand and finish" look, and we attain the best rating for indoor air quality by manufacturing without formaldehyde glues or solvent-based sealers. *Authorized Mohawk Dealer* Sales & Installation, Carpet, Vinyl, Marmoleum, Quartz Counter Tops, Stone & Ceramic tile, Hardwood, Cork flooring and more. Check out our showroom. We carry nearly every major manufacturer. Interior Floor Designs is a third generation, family owned and operated business, serving the Seattle Metropolitan area since 1982. Our goal is to provide you with quick and professional flooring installation. We offer free estimates, installation consultations, and sample checkout to help you find the floor that is right for you. With over 75 years of combined experience, we can help you with all your flooring needs. We take pride in our work, all of the pictures featured on our website are of floor installations completed by Interior Floor Designs. Please help our business grow and follow us on social media. 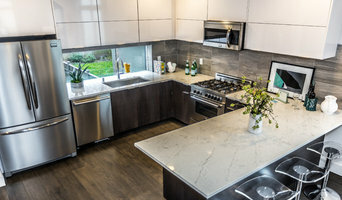 Brown's Interiors, located in Burien, just south of Seattle, is your locally-owned, full service flooring, countertop and window covering company. With over 70 years of combined experience, our friendly staff will help you find the top name brands that will fit your budget. Professional installation is always available. Our goal is to meet or exceed your expectations, and with a wide variety of products at great prices—a place you can buy with confidence! Hatloes Carpet One Floor & Home is your local choice for your interior design needs, including window coverings from Hunter Douglas. flooring from Bigelow, Lees, and Armstrong, paint from Benjamin Moore, and counter tops from Corian and Cambria. Count on the knowledgeable and friendly professionals at Hatloes to coordinate your decorating project from start to finish. Our distinctive services include professional measuring, experienced installation, and stylish design advice, all provided with a local flair, since we're independently owned and operated. Hatloes has proudly served the Snohomish County area since 1939. Whether your priority is energy efficiency, privacy, room darkening, ease of use, or child and pet safety, you can count on the design team at Hatloes! You'll find everything you need to transform your living space into your dream home. Proud to be family owned and operated, we are experienced in all aspects of hardwood floor installation, refinishing, and restoration. Classic Hardwood Floors was founded on the belief that our customers’ needs are of the utmost importance and our entire team is committed to meeting those needs. We have led the industry with the highest level of professionalism and conduct. We know that exceptional customer service and attention to detail is crucial when it comes to creating satisfied customers. As a result, a high percentage of our business is from repeat customers and referrals. Please give us a call for a free estimate to see how Classic Hardwood Floors can meet your hardwood flooring needs. Bellevue Floor Service will Install and sanding a new hardwood floor from almost any exotic or domestic hardwood floors. They can refinish existing hardwood floors, bringing them back to their original beauty. Bellevue Floor Service specializes in custom-mixed stains. Just give their experts a color sample. They will create that color, using the finest oil or water-based stains. Trust the services of one of the region's most renowned hardwood floor companies. 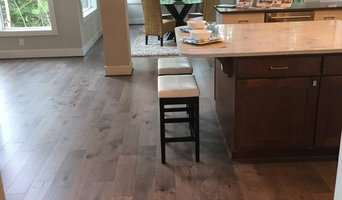 With decades of experience in the building industry, Bellevue Floor Service has literally turned the building of hardwood floors into a form of art. See what they could do for you. We are locally owned with 6 Locations. We stock and Install Carpet, Tile, Hardwood, and Laminate. Over 100 Area Rugs in stock in all locations.